Is The Brother Of Trump's Education Secretary Helping Build Concentration Camps For Chinese Muslims? As China's mass incarceration of members of its Uighur Muslim minority in its far-flung Xinjiang province has elicited condemnation from editorial boards of US newspapers to, more recently, the leader of one of the world's largest Muslim nations, one of America's most famous private security contractors - and, incidentally, brother to President Trump's secretary of education, has found himself caught up in the burgeoning controversy. 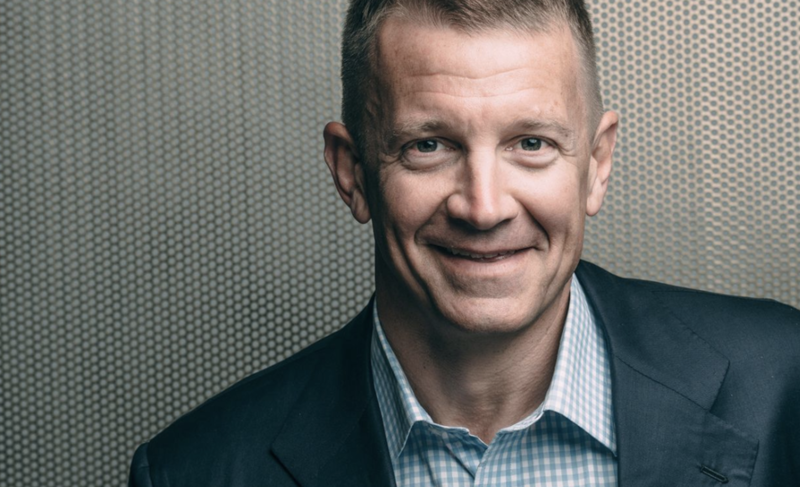 Five years after gaining the favor of the chairman of one of China's largest conglomerates, Blackwater founder Erik Prince, who became chairman of Hong Kong-based Frontier Services Group (which, instead of offering private mercenary armies for hire, claims to provide training and support services) back in 2013, has been steadily stepping back from the firm he helped build as he cedes more and more control to forces in the mainland. And now, FSG has become caught up in a controversy surrounding China's detention of more than one million Uighur's in "re-education camps", thanks to reports of a contract awarded to FSG to build a "training facility" in Xinjiang that critics feared would be used as a detention center. But according to a Bloomberg report published on Sunday, Prince denied the company's involvement in the facility, and insisted that his decision to step down as chairman of FSG in December was a strategic move intended to help the company win contracts for mega-projects on the mainland. 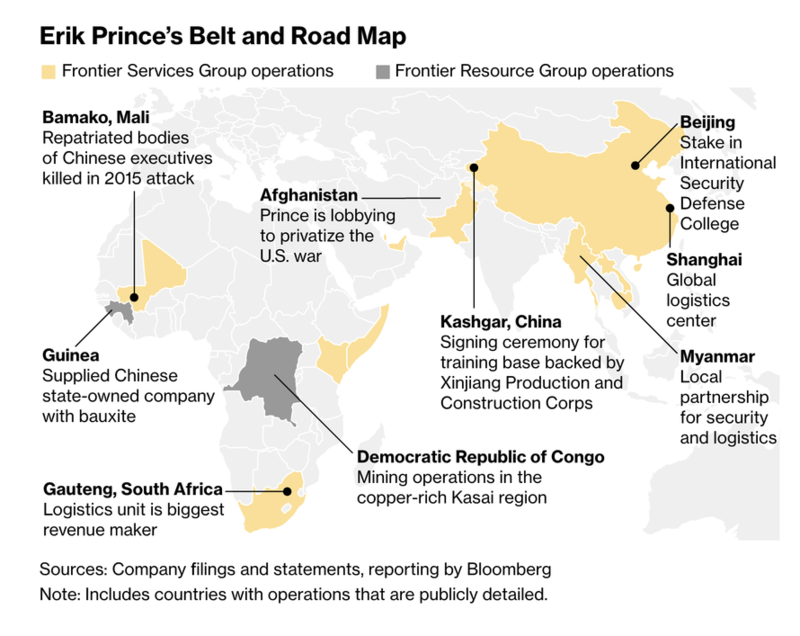 "Erik Prince has no plans, desire nor interest to engage in any activity whatsoever either personally, through FSG or any other vehicle in Xinjiang Province now or at any time in the future," an FSG spokesman added. In an interview with BBG from before the Xinjiang facility scandal broke, Prince insisted that he's a "proud American who would never do anything against the national interest." Shortly after, the Pentagon and the DNI himself declared that China and Russia's collusion to counter US interests across the globe represented the biggest threat to US security. But not to worry: Because even as trade and security tensions between the world's two largest economies intensify to absurd new heights, Prince is confident that the two countries will eventually work these issues out. Ultimately, "the two nations will go on and remain friendly," he said. Even as China’s economic growth slows, it will still demand "more and more energy and natural resources and places for their products to go." While China seeks to perpetuate its influence across the globe using "debt diplomacy" and every other tool at its disposal as it works on its ambitious "One Belt, One Road" initiative, FSG and its sister company Frontier Resource Group, has earned several lucrative contracts protecting Chinese interests around the world. Meanwhile, as FSG has steadily become beholden to one of China's largest state-linked conglomerates, aeveral Americans who were brought in to help get the company off the ground have left. They include: William Fallon, a retired four-star Navy admiral, and Gregg Smith, a former Marine and former advisor to Black Water. Both men insist they left because of FSG's growing involvement with BRI. But the company insists they were fired for performance. But whatever happened, the fact that the brother of a senior Trump Administration official is so closely involved with a company suspected of building concentration camps for the Chinese government - and for helping cement Chinese hegemony abroad - certainly isn't a good look for Betsy DeVos.